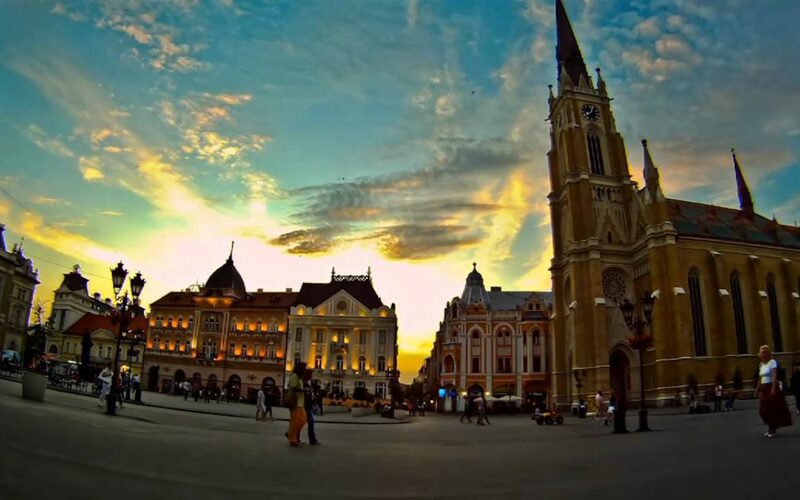 The International Symposium on Pain in Vulnerable Populations held in Novi Sad, Serbia on March 30th 2019, was hosted by UITBS-SAPRT, and endorsed by EFIC as well as governmental and academic institutions on a national level. After a year of work, the program was both stimulating and informative. As our knowledge in pain medicine keeps on evolving, symposia are in many ways a barometer of the changes occurring. The topic this year echoes the 2019 Global and European Year Against Pain campaign, focusing on Pain in the Most Vulnerable. Almost 250 persons from the region attended the symposium, representing a variety of health care disciplines. Eighteen pain experts in the field presented their lectures in general sessions, multiple symposia directed toward specialties, and discussions. Presentations were given by: Emeritus Professor Cervero Fernando, MD, PhD, DSc, EDPM, (London); Prof. dr Luis Villanueva, DDS, PhD, (Paris); Assistant Prof. dr Snežana Ukropina, MD, PhD (Novi Sad); Doc. dr Vladimir Romanenko, MD, PhD, EDPM (Kiev); Prof. dr Dejan Nešić, MD, PhD, (Belgrade); Prof. Dr Miroslava Pjević MD,PhD, EDPM (Novi Sad); Prof. dr Ljubica Konstantinović, MD, PhD (Belgrade); Prof. dr Nevenka Krčevski Škvarc, MD, PhD, EDPM (Maribor); Prim. dr Gorazd Požlep, MD, (Ljubljana); Eržebet Patarica-Huber, MD, mr sc. Med, PM ( Novi Sad); Prof. dr Snežana Tomašević Todorović, MD, PhD, UITBS-SAPRT president (Novi Sad); Doc. Mirka Lukić Šarkanović, MD, dr sc. med (Novi Sad); Dr Velimir Mačar, MD (Novi Sad); Doc. Aleksandar Knežević, MD, PhD, PM, (Novi Sad); Prof. dr Ksenija Bošković, MD, PhD (Novi Sad); Prof. dr Aleksandra Mikov, MD, PhD (Novi Sad); Prof. dr Biljana Drašković, MD, PhD (Novi Sad); Prof. dr Emira Švraka, MD, PhD (Sarajevo). The attendees included medical physicians of different specializations (anesthesiology, physical medicine and rehabilitation, rheumatology, neurology, primary care physicians, surgeons), as well as physiotherapists, nurses, physician assistants, technicians, and related allied health personnel; but also representatives from the government of Serbia and Vojvodina, the dean of the Medical Faculty, University of Novi Sad, representatives from Clinical Centre of Vojvodina, as well as the Pharmaceutical and Medical device industry and Serbia meeting industry. Pain in the most Vulnerable is often an unrecognized problem. The presence of pain can negatively affect the quality of life of people which is why the use of appropriate instruments in the assessment of pain is necessary. The advancement of science in the future will depend on interdisciplinary research involving engineers, speech therapists, occupational therapists, physiotherapists, as experts who can provide access to these technologies and help in their use. Vulnerable population groups and their families need to be educated and active members in the pain management process. Pain in the elderly is still unjustifiably a low priority, leading to serious medical and socio-economic consequences. Taking into consideration the problems and insufficiency of knowledge, one cannot but acknowledge that introducing professional education programs and research in this field is needed. It is necessary to improve the strategy and guides of good clinical practice tailored to the specific needs of children, adolescents, elderly people, disabled and accessible to the expert public at all levels of health care. Multidisciplinary approaches that include a combination of pharmacological and non-pharmacological approaches are not sufficiently used for elderly people, regardless of the proven efficacy. Indeed, most guides recommend a combination of pharmacological and non-pharmacological treatments in patients with persistent pain, although sensitive data on therapeutic outcomes for the sensitive population groups do not exist in many procedures. Multiple medical and nutritional problems represent a limiting factor for the application of pharmacological pain relief therapy due to the problem of the drug interaction used in the treatment. Pain treatment for vulnerable populations is a challenge and requires the balance of risks and benefits, especially in elderly people with multiple comorbidities and after surgical interventions. The work being done by the participants in this Symposium is essential to the individual, the patient who continues to strive for some kind of normalcy in their life and the lives of their families. Through these efforts, there is hope for the future. We are grateful to all those who participated in and who helped organize the meeting. The European Federation of IASP Chapters (EFIC) first launched the Global Day Against Pain in 2001, thanks to an idea of David Niv, a now-deceased IASP member and EFIC president. The success of this initiative led the IASP Council to develop and adopt a more powerful strategy to increase awareness of pain and the multidisciplinary approaches to reducing and/or alleviating it worldwide. One European citizen in five suffers indeed from chronic pain, and this accounts for 500 million working hours lost each year. The main aim of this campaign is to present pain in all its aspects and in all its social consequences, in order to gain attention amongst the medical community, the general public and local media. This year, EFIC and IASP chose to concentrate on pain in the Most Vulnerable, which includes pain in order persons (including pain in dementia), infants and young children, individuals with cognitive impairments (non dementia-related) or psychiatric disorders, as well as survivors of torture.